Journey Coaching offers specific support and guidance whilst working together for you to achieving your life goals and overcoming any barriers on the way.Using GROW coaching, NLP and other traditional coaching methods I will help you get from where you are now to where you want to be whilst enjoying the journey on the way, using your strengths as tools to overcome barriers and learning throughout the journey and providing encouraging, honest and open feedback. Life is a continuous journey and your goals can be small or large depending on where you want to be and what you want to achieve in your life, but ultimately your growth as a person is often the biggest reward from any set goal. This is why setting goals is so important. My job is to be there to support and guide you in everyway possible, opening you up to new possibilities and strengths within you along the way. 2.) Useful and necessary tools to achieve your goals. 4.) Identify your strengths and guide you in how to use these to overcome any previous obstacles in achieving your goals. 5.) Guiding you in the best way to structure daily time to maximise the time you have available to achieve your goals. 6.) 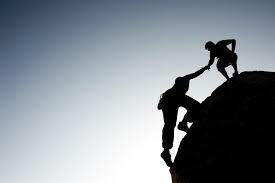 Working together with you on breaking down your goals in to achievable and manageable chunks. 7.) Increasing your level of motivation with motivational coaching so that you can achieve your goals in the minimum possible time. Contact Miranda today at if you wish to discuss your goals and requirements and begin on your journey to your higher self today. I will look forward to being a part of that journey with you. Stay light and present on your journey and I hope you can take some inspiration from my blog.